Happy Birthday Luckenbach! Come celebrate all day on Saturday May 26th. Jason Eady and his Band open for Mickey and the Motorcars at 9pm on the outdoor stage. Everyone must have a ticket for the evening show. 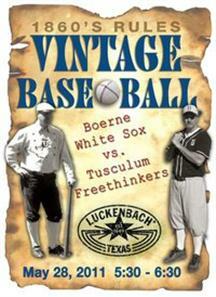 Tickets are available online or at the ticket booth in Luckenbach starting at 7pm. Sunday Night Texas Bluegrass Massacre w/ Bob Schneider . blacktopGYPSY opens the show.